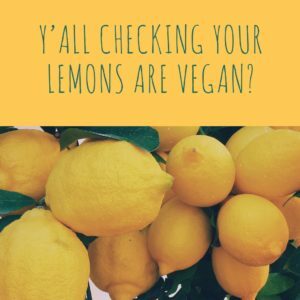 How are lemons not vegan? I posted this pic on my Twitter yesterday and it seems everyone is going bananas about lemons not being vegan! So looking at the pack above, let’s put aside the ridiculous amount of unnecessary plastic and those well dodgy chemicals for a minute. 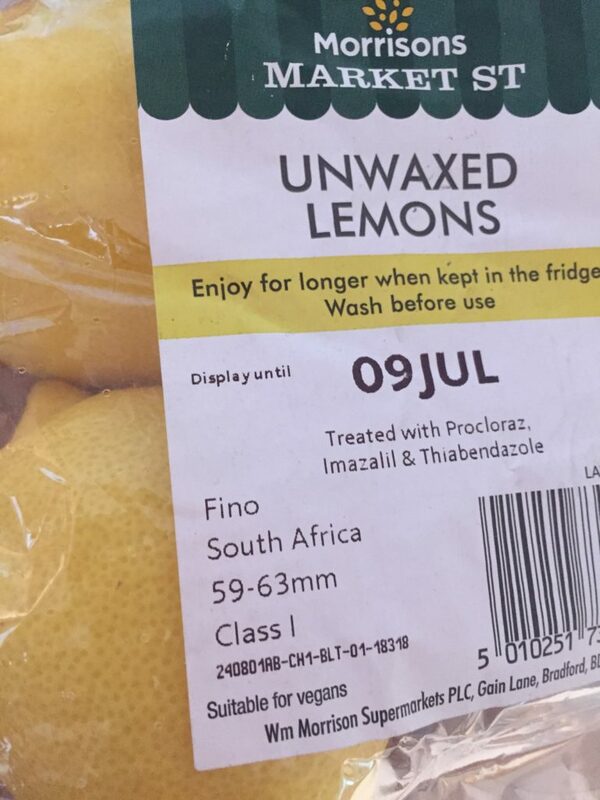 I am really incredibly sorry to those of you who don’t already know – but yes…..these unwaxed ones are labelled ‘suitable for vegans’ because the others are probably not suitable for vegans. Lots of you have been asking me why lemons and other citrus fruit (oranges, limes, grapefruit etc) and some apples (omg not apples too! ), mango and avocado are not vegan…. Basically they ‘preserve’ the fruit in a coating of either shellac or beeswax. This is what gives it that lovely waxy shine. Oh and there’s also polyethylene. This one IS vegan……..vegan plastic! Yum……oh dear. Other vegan coverings include Carnauba wax (from the carnauba palm tree) and synthetic petroleum-based waxes. They do it to preserve the fruit travelling long distances. So we all know what beeswax is and understand why most vegans don’t use beeswax or honey in food, make up, cleaning products etc? Shout up if not and I’ll get another post written in response. As for shellac, well it’s a resin from the secretions of the female lac insect. It’s also known as the food additive E904. Some people say it’s crushed insects which it strictly isn’t but we know loads of crushed insects and eggs get included in the resin as it’s scraped from the trees in India and Thailand. You may have heard of shellac in the beauty industry – shellac nails? 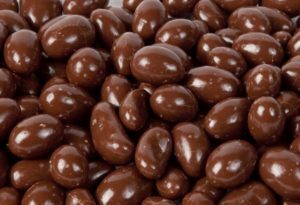 It’s also used for varnishing furniture, glazing pills and making sweets (like chocolate coated peanuts) shiny. So basically if you want to avoid the nasty chemicals they spray on our fruits and the coating of insect secretions and some squished insects….buy organic but….check with where you buy it from first as I believe some organic fruit may be waxed ! Again apologies if this is news to you. It’s pretty depressing isn’t it but….the world is changing for the better and we can make it change together. Cheer yourself up by popping over to the friendly Super Savvy Vegan Facebook group. 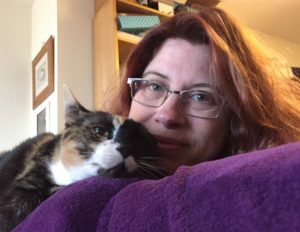 I’m also on twitter and Instagram. Thank you – how did I not know this?! And I blimmin love lemons! I do shell out a bit more for lemons by getting fresh veg from Shillingford Organics. This was partly to help cut down on plastic and to help me keep to a budget by ordering a set amount of stuff. And now I know it’s vegan – cool!